Changes to Illinois’ Child Support statute are imminent. On June 27, 2016, House Bill 3982 was sent to Governor Rauner for his approval, and on August 12, he signed it. It is currently scheduled to become effective July 1, 2017. Among the changes in HB 3982 is the revision of the guideline support calculation method. Currently, child support in Illinois is calculated based on a percentage of the payor’s net income and number of kids to the parties (20% for one child, 28% for two, 32% for three, etc.). It is a statutory remnant from the days when the “typical” family consisted of one breadwinner, rather than two working parents. HB 3982 abolishes these guidelines and adopts a method that many other states are already using: the income share approach (previously discussed on this blog here). Under the new approach, child support will be calculated based on the parents’ combined adjusted net income estimated to have been used for child-related expenses if both parents and child(ren) were living together. The Department of Healthcare and Family Services (“HFS”) will publish worksheets to aid in calculating the amount of support, as well as a table that reflects the percentage of combined net income that parents living in the same household in Illinois ordinarily spend on their children. As of the writing of this blog, those tables have not been published. However, examples of the tables and worksheets previously proposed by HFS can be found here. They will not be part of the statute, but will be updated periodically and available on the HFS website. The statute also includes a method of calculating child support if the parents exercise “shared parenting” or “split care.” If each parent exercises 146 or more overnights (40%) per year with a child, the base child support obligation will be multiplied by 1.5 to calculate the “shared parenting” child support obligation. The child support obligation is then computed for each parent by multiplying that parent’s portion of the shared care support obligation by the percentage of time the child spends with the other parent. Next, the child support obligations are offset, and the parent owing more support pays the difference between the two amounts. Subtract the lesser support obligation from the greater, ordering the parent owing the greater obligation to pay the difference to the other parent. 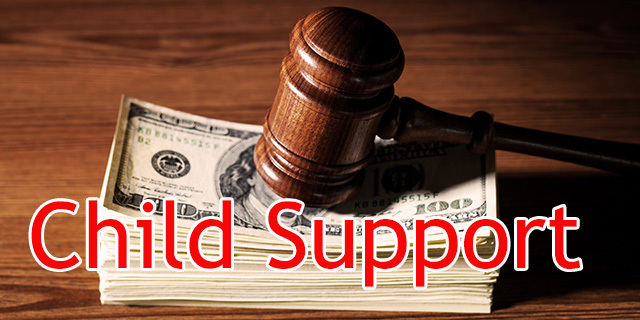 It is important to note that in addition to amending Section 505 of the Illinois Marriage and Dissolution of Marriage Act related to the calculation of child support, an amendment would be added to Section 510 regarding modification as well. Currently, in order to modify support the party seeking to modify must show that there has been a substantial change in circumstances warranting modification. The amended statute would include a provision stating that the enactment of HB 3982 does not itself constitute a substantial change in circumstances warranting a modification of support. Simply, just because the statute has changed does not mean that everyone can go back to court to try to modify his or her child support terms. The new statute would also modify and/ or expand on the definitions of gross income, net income, business income and standardized tax amount, which aid in determining the numbers to use in calculating support. Notably, certain governmental benefits such as those from the Supplemental Nutrition Assistance Program (SNAP) would not constitute part of a party’s net income. If you have questions about the new proposed Illinois Child Support scheme, or would like to know how it may affect you, please contact us.